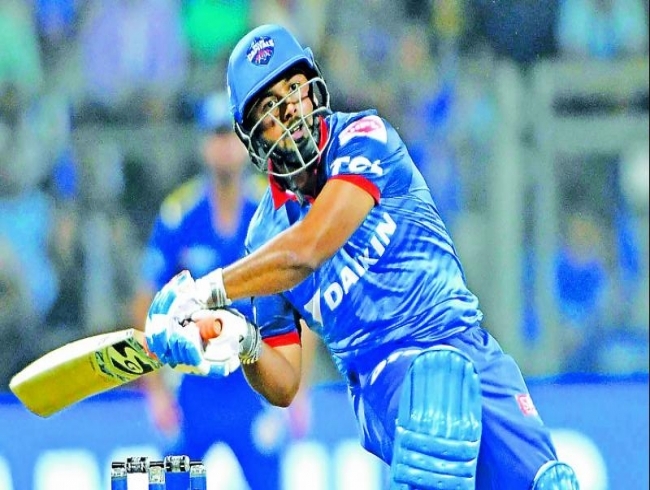 Mumbai: Rishabh Pant enhanced his credentials with an unbeaten 78 off 27 balls to power Delhi Capitals to a 37-run win over Mumbai Indians at Wankhede stadium here on Sunday. For the revamped Delhi Capitals it was just the kind of start coach Ricky Ponting would have asked for after a disappointing IPL campaign last season. Mumbai Indians who have won the title thrice since 2013 continued their unwanted reputation of being poor starters. Their bowlers went for plenty and top order batsmen failed to respond. Yuvraj Singh (53 in 35 balls) though made half century on debut for MI. Jasprit Bumrah had injury scare towards the end of first innings and he didn’t come out to bat later. Coming in 14th over, Pant played first four dot balls before unleashing his exquisite shots to raise his fifty in just 18 balls. He finished with a flourish not even showing respect for yorker specialist Bumrah. His knock included seven sixes and as many boundaries utilising chips and flicks effectively. Last six overs yielded 99 runs as Delhi posted a huge total of 213/6. Pant’s blitzkrieg came after Colin Ingram’s 47 in 32 balls.